When you e-mail photos, you generally need to reduce them in size compared to the original photo. 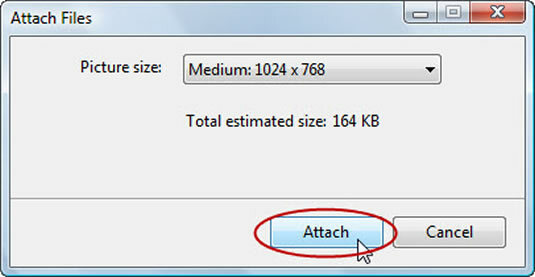 Vista allows you to resize your photos prior to e-mailing them. 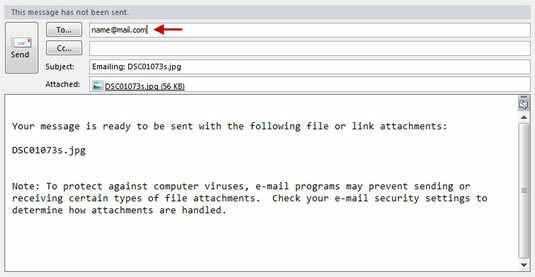 1Right-click the desired photo or photos, choose Send To from the menu, and choose Mail Recipient. 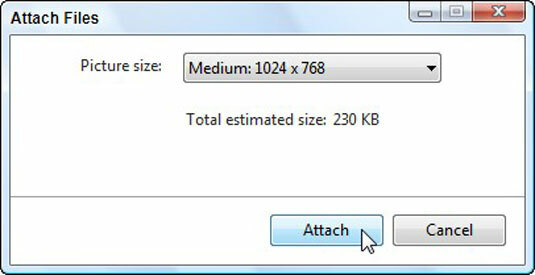 Windows Vista opens a window, offering to shrink your e-mailed pictures. Take it up on its offer. Or, if you’re looking at the photo in a folder or from within Windows Photo Gallery, click the E-Mail button from the toolbar along the top. Windows resizes the photos you’re e-mailing, opens your default e-mail program (usually Windows Mail or Microsoft Outlook), and attaches them to a message. 3Fill in the recipient’s e-mail address. Or type in multiple addresses, if you want to send the photos to more than one person. Windows Mail sends your message to the recipient with the photo or photos attached in a manageable size.